Well, looking back on the first trimester of the year, I’d have to say it’s been a pretty wild ride. 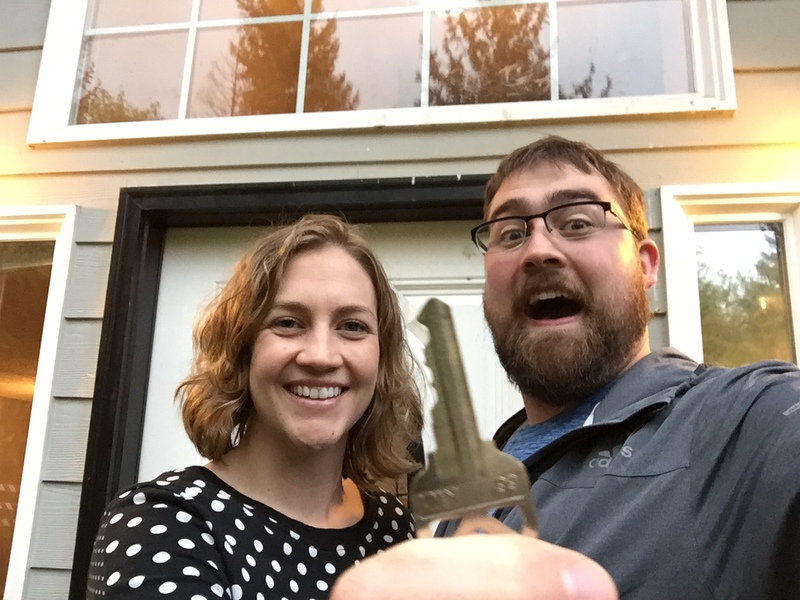 Now I can officially make the announcement of one of the biggest life steps ever: We Bought A House! I can’t believe it. This feels way more adult than getting married, or anything else I have ever done. I’m so glad we were finally able to take this huge step. 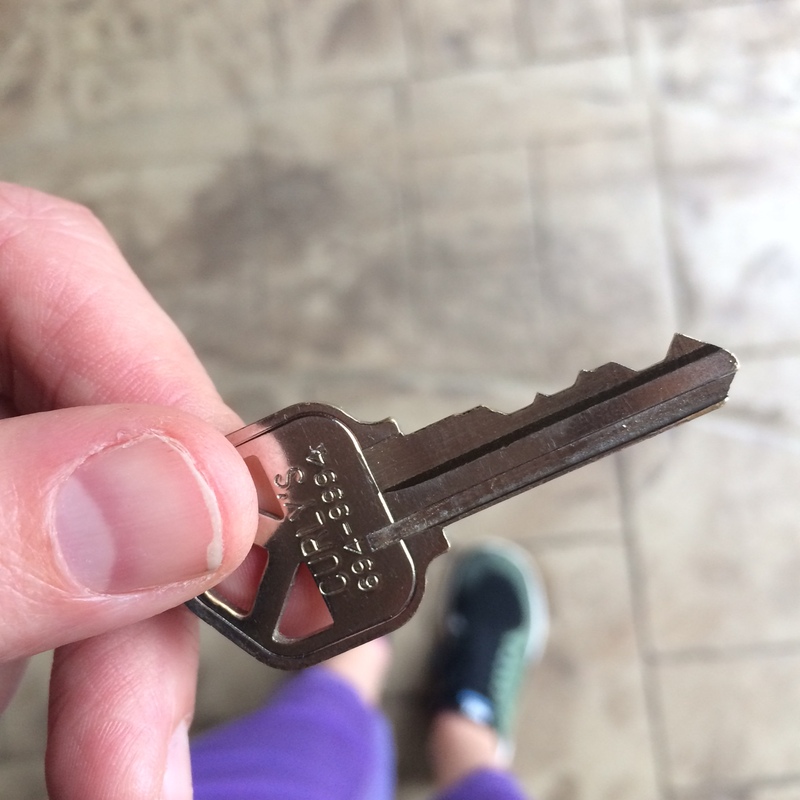 It was one of our goals for 2015, and it feels so good to say CHECK! Our new neighbors and hood have been great so far. 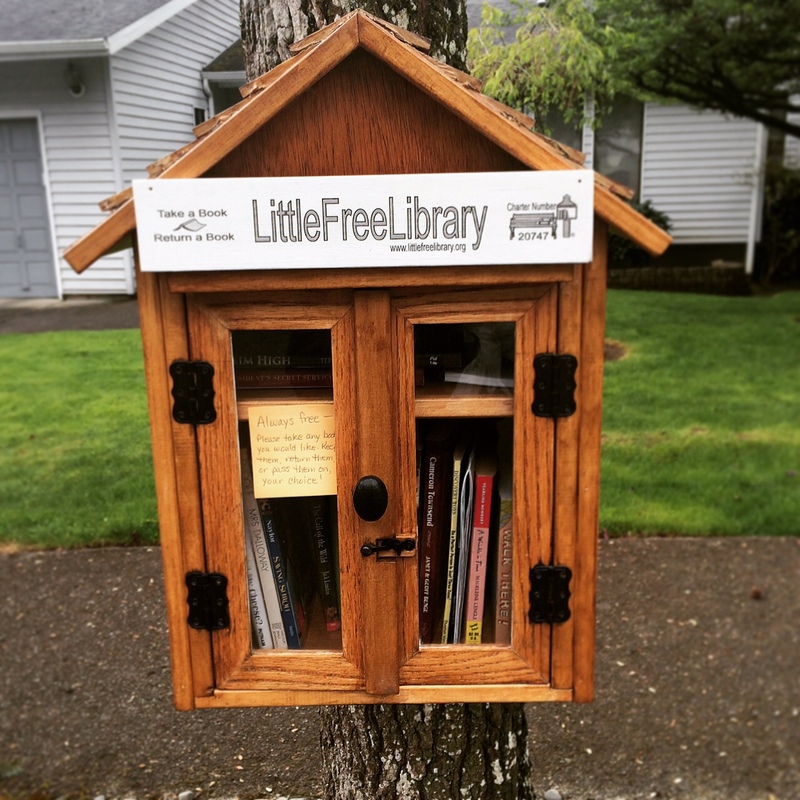 I was so happy to find one of these Little Free Libraries pictured above a few blocks away, I have heard of them but never seen one in real life! Jordan’s Birthday was the day after we moved in. 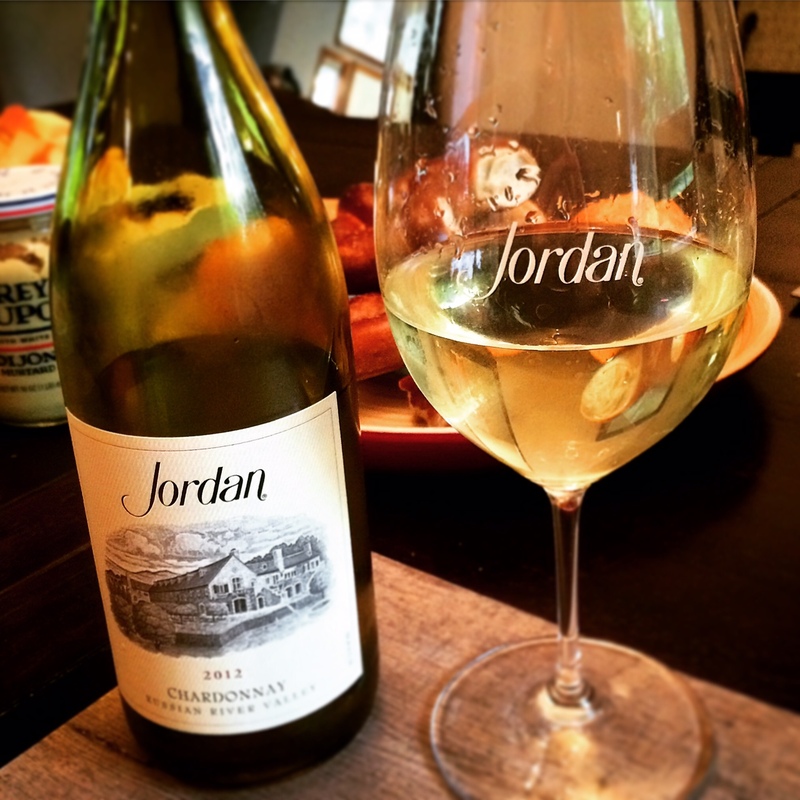 Thankfully, my mom brought us back some Jordan wine from Napa to enjoy while unpacking. My birthday was 2 days later, and we ate a lot of good food (duh). 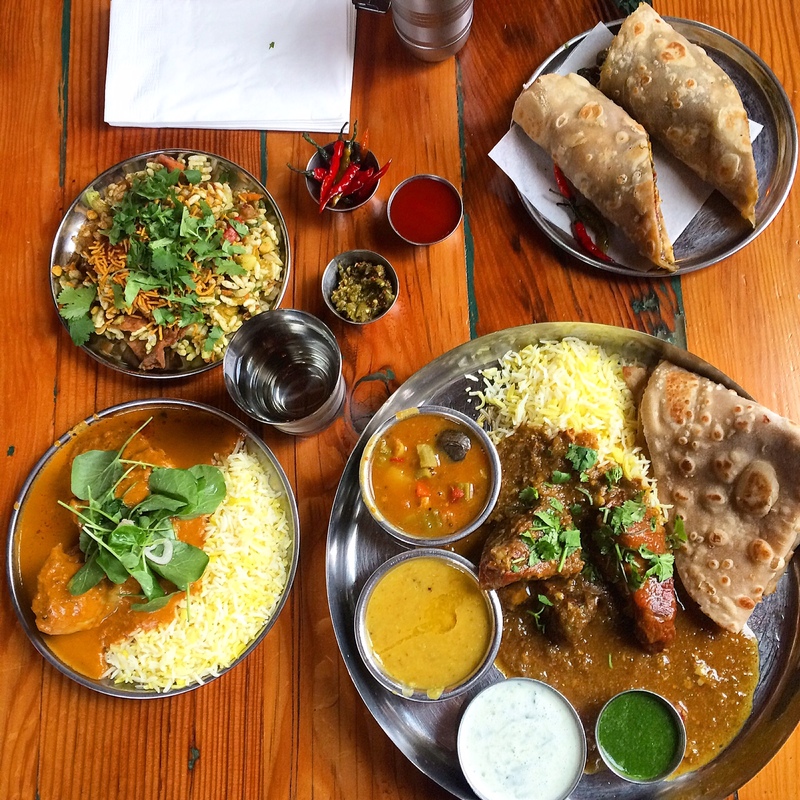 We hit 2 places on my Portland List: Pip’s Original Doughnuts and Bollywood Theater. Both were SO GOOD and I highly recommend going if you are in the Portland area! At Pip’s we received a free birthday dozen, which was AWESOME. Getting a dozen mini donuts at Pip’s basically let’s you and one other person try every flavor. They are really simple and super delicious. 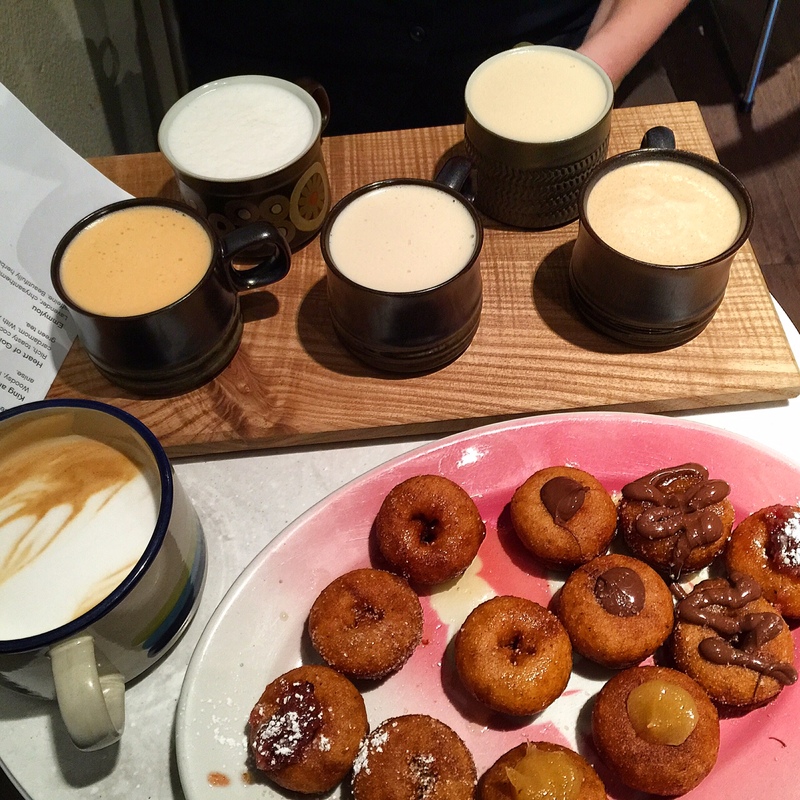 Also: the most amazing honey latte ever, and a Chai flight. Pip’s is also known for their Chai and I wanted to try them all. It felt like a lot, but one of the nice people working at Pip’s told me it was basically the equivalent to a Starbucks Vente, so I didn’t feel so terrible. At Bollywood Theater we ordered WAY too much. It was our first time there, so it was hard to choose. Now I’m pretty sure every single thing on that menu is damn delicious. Luckily for us, it made for good leftovers! 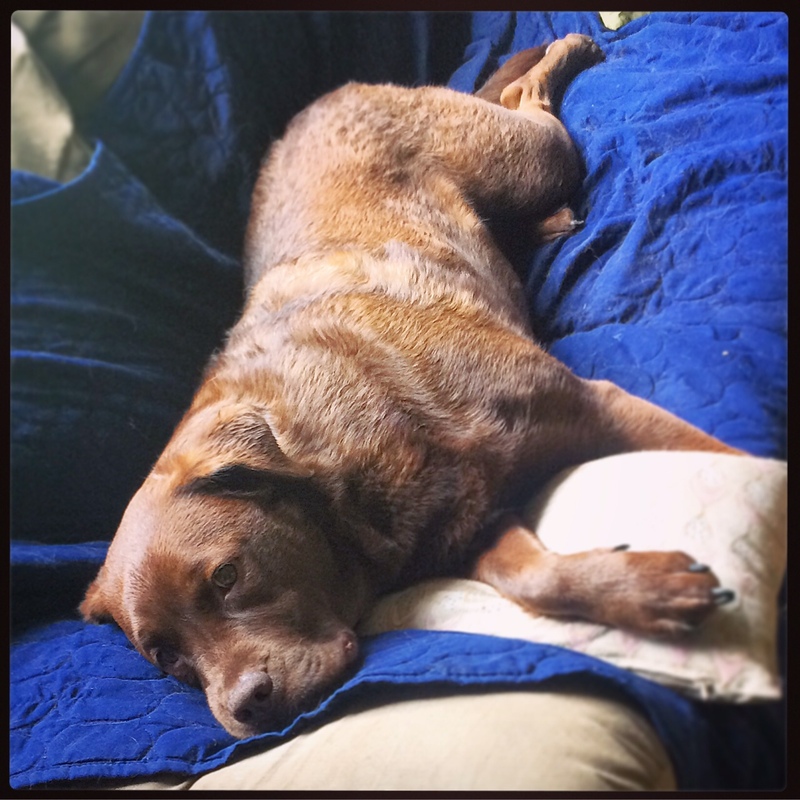 Until next month…maybe I will start having interior updates to show! Great month, as April usually is for your family!